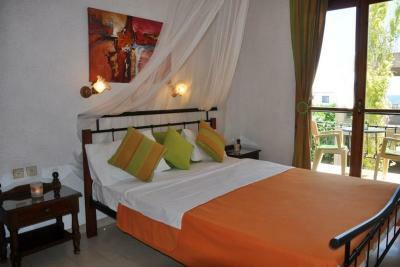 Lock in a great price for Artemis Rooms – rated 9.5 by recent guests! 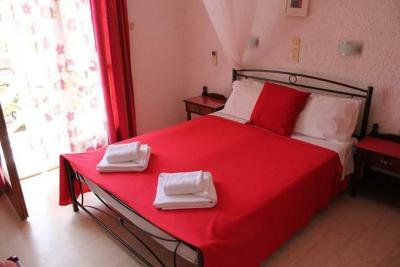 The owners Evelyn and Vasilis are lovely people who make you feel at home at Artemis Rooms. Evelyn corresponded with me before my arrival answering my questions and advising how to get to her place. She was available any time during my two-night stay. 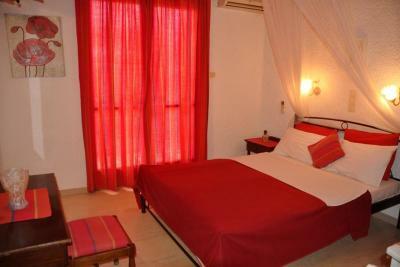 My room was charming - pleasantly designed, and with a mosquito net over the bed giving it somewhat oriental look. 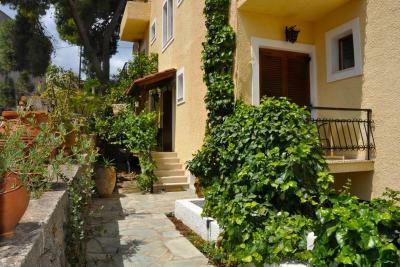 Location is perfect – 2 min walk uphill from the mail street, 5 min down to the sandy beach. There are also many rock beaches nearby if you prefer deep crystal-clear waters. The host Evelyn was exceptionally friendly, welcoming and helpful. 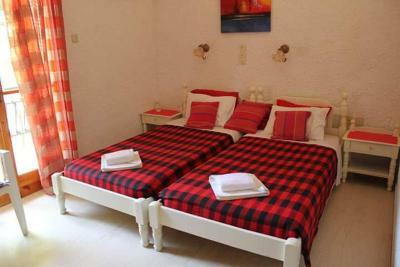 The room was very clean, towels were changed daily and bedlinen mid-week. 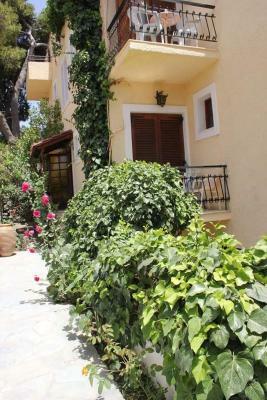 The location was ideally situated, a few minutes from a beautiful beach. 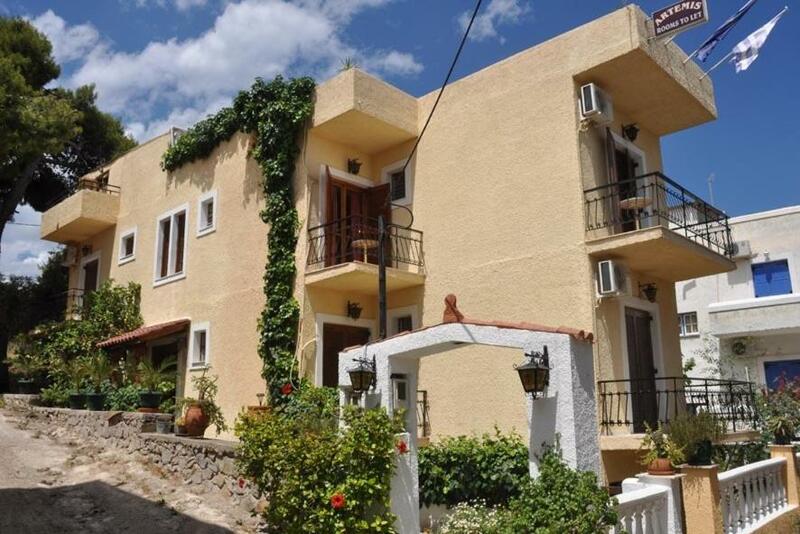 Artemis Rooms is situated just above the "main" road of Agia Marina, so the local bakery and mini-market are just down the road, and other shops and restaurants are only a few minutes away, The beautiful Agia Marina beach is only five minutes on foot from the property. 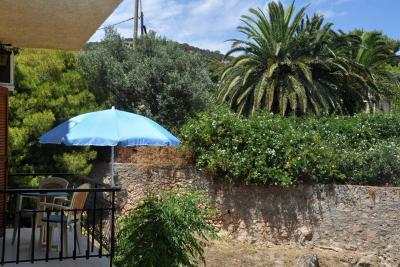 Because of it's secluded location it is quiet and peaceful (and not too hot) at night even though it is so conveniently close to everything. 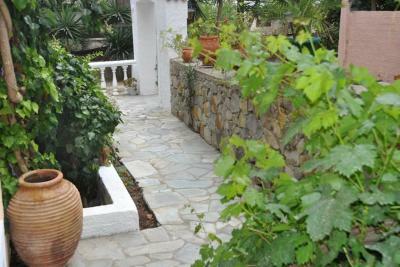 The owners were very kind and helpful and even provided a large bottle of water and a guide to Aegina upon arrival. 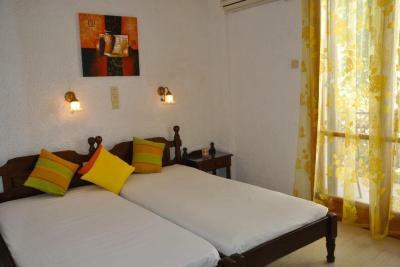 The room was lovely, comfortable and immaculately clean. 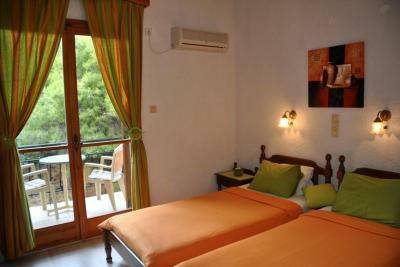 I would highly recommend Artemis Rooms to anyone visiting Agia Marina! It was wonderful! 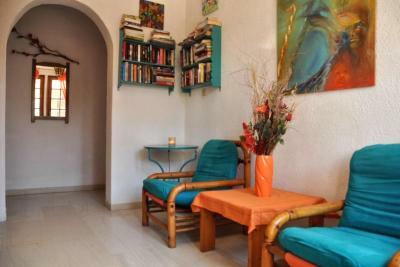 Evelin is an excellent hostess, very nice, kind and helpful, she provides you with everything you need. 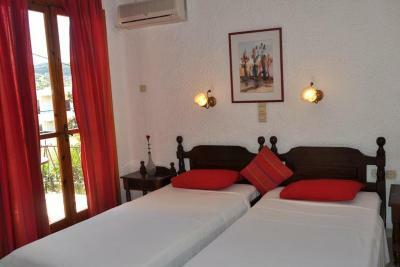 Place is very beautiful, comfortable and very nice decorated. 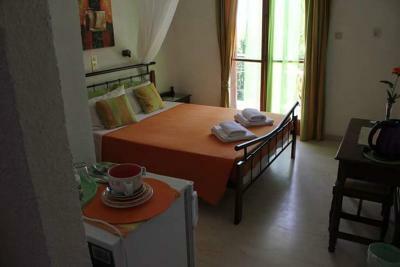 Supermarket and bakery are nearby, place is super close to main street with all the cafes and restaurants, beach. Bus stop within 2-3 min by walk. It was perfect! Evelyn is so kind.. and she lend me her bike for free to have a really nice ride in the island. Amazing! Also the facilities near the place with the supermarket and the beach is a plus. The room was really beautiful with a nice little balcony. 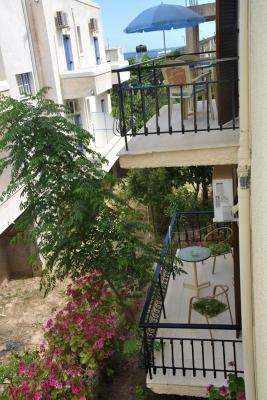 The hotel is very close to the local ammenities but in a nice and quite area. The hostess, Evelyn, is friendly and very well organised. She suggested really nice places for swimming and food and also arranged a taxi to pick us up and take us back to the port. Would definitely reccomennd it for anyone who want to spend time in Agia Marina. Artemis Rooms прекрасное место для проживания на острове, очень уютное и тихое. Месторасположение отличное: до моря 7 минут пешком, но при этом он находится не около дороги, что несомненно является большим плюсом. Уборка номера каждый день. Все чисто и аккуратно. Хозяйка Эвелин очень гостеприимная и душевная. У Эвелин работает Надежда, она русскоговорящая, что также является большим бонусом для тех, кто плохо владеет английским. 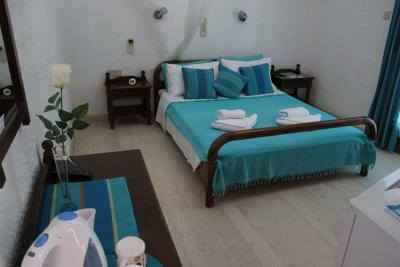 Очень рекомендую всем Artemis Rooms. Πολυ ωραιο δωματιο,πολυ καθαρο σε πολυ καλη τοποθεσια και η εβελυν πολυ εξυπηρετικη κι ευγενικη.Θα ξαναεμενα ανετα!! Η Κ.Εβελυν ήταν εξυπηρετικότατη,χαμογελαστή και πολύ ευγενική! Το δωμάτιο ήταν πολύ όμορφο,πεντακάθαρο και πολύ άνετο! κατα τα άλλα ήταν ενα δωμάτιο άνετο με χαρούμενα χρώματα και πολυ εξαιρετικούς ανθρώπους μέσα στην ευγένεια και την προθυμία ανα πάσα στιγμή να εξυπηρετήσουν!η κυρία έβελιν ήταν υπεροχη! 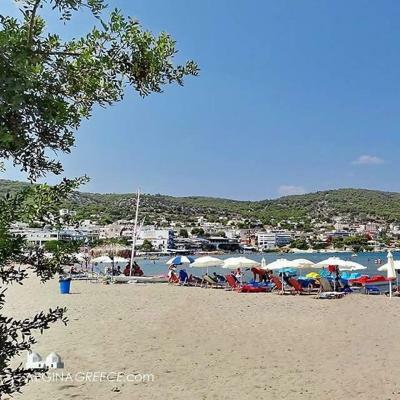 Just 650 feet from the beach of Agia Marina in Aegina, the family-run Artemis Rooms offers air-conditioned accommodations with private balcony. The central square with restaurants, bars and shops is 350 feet away. 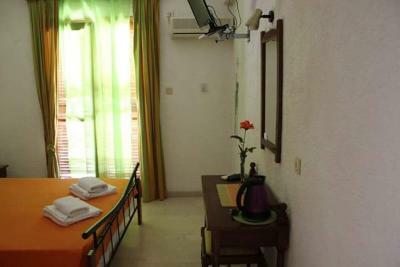 Featuring bright colors, all rooms at the Artemis have a fridge and TV. 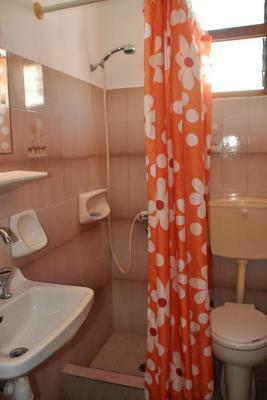 Each includes a private bathroom with shower. 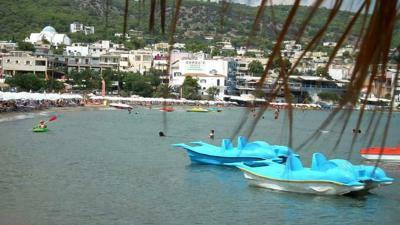 Guests are offered free pedalos and canoes for one hour per day. 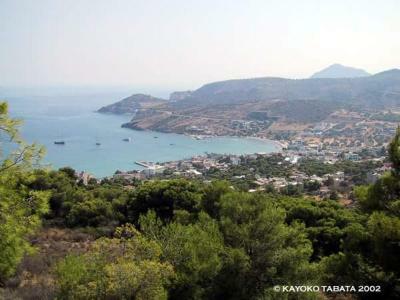 Aegina Town and the port are 11 mi away. The ancient temple of Aphaia is within 1.9 mi. 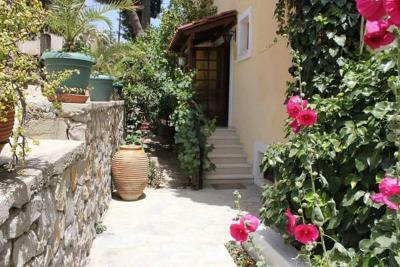 This property is also rated for the best value in Agia Marina Aegina! Guests are getting more for their money when compared to other properties in this city. 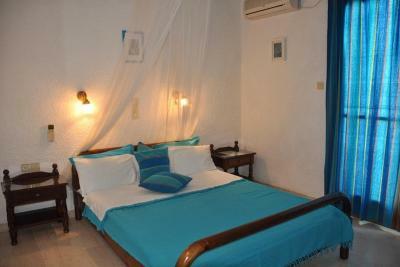 When would you like to stay at Artemis Rooms? 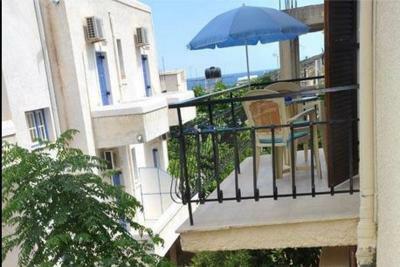 656 feet from the beach, this air-conditioned room offers a private balcony. A fridge and TV are included. Hairdryers are available upon request. House Rules Artemis Rooms takes special requests – add in the next step! The host was very helpful and kind. Given the value aspect of the accommodation I have no complaints. I feel in love with this place. It is truly a hidden gem, a little piece of heaven. The best thing that happened to me and my boyfriend during our time in Greece was to book this beautiful hotel. Evelyn is by far one of the most amazing hosts I've ever met and she went out of her way to make us feel welcomed and comfortable. She gave us a ride to the Monastery and showed us around the island so we would know how to get places on our own. She is warm and friendly, very honest and made us feel right at home. 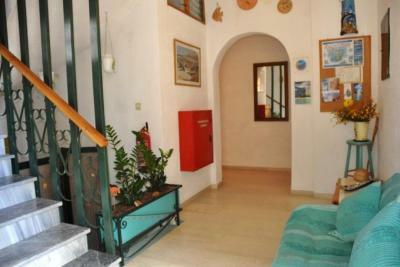 The property is a short walk from the beach and from all the restaurants and bars. She recommended a few places and we loved each of them! Also her husband runs a paddle boat business and you get one free hour each day you stay with them. We had so much fun out on the paddle boat, I would definitely recommend it! 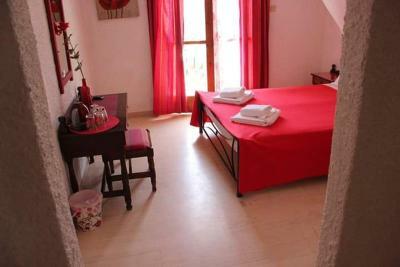 The room, linen and towels were very clean. The bed and pillows were very comfortable. 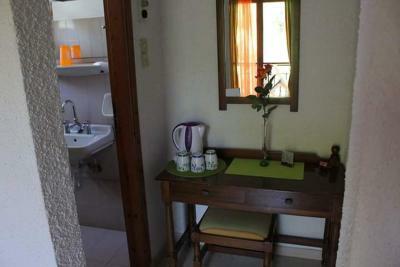 The room is equipped with a small fridge and you also get cups, plates and silverware. 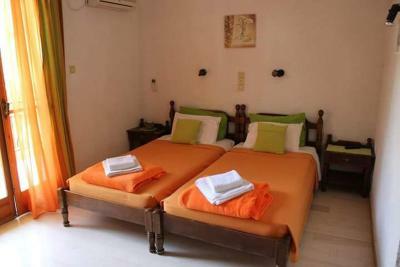 The rooms have AC and a TV and a dresser with a mirror and plenty closet space. We were incredibly pleased with the accommodations and will absolutely be back to Artemis!